The Cottage Company is a family run business owned by myself and my wife, Elizabeth. 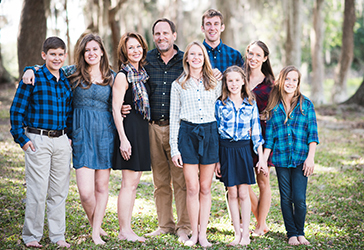 We live in Lake Placid where we moved to from Hollywood, Florida in 2005 to raise our 6 children. We greatly appreciate the charm of Lake Placid and the surrounding area and are happily raising our children in the Lake Placid community. Educated as an Architect and holding a Professional Architecture Degree I have been in the architecture and construction industry for over 20 years. I received my Florida State Certified General Contractor license in 1995.